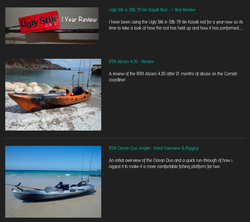 Kayak Fishing in Cornwall | Catch Reports | Videos | Tackle and Gear Reviews | Kayak Reviews | Kayak Rigging | Marine Life Photography | Fish ID | Places to Fish..... and more!! Liam Faisey. I live in Cornwall and get to kayak fish in some of the most beautiful and productive waters in the UK. If you haven't been to Cornwall before then click here to see an aerial tour of the county, or check out the Places To Fish section - kayak fishing paradise! I started kayak fishing in 2012 and have been fishing for many years before then. I enjoy fishing for numerous species that are found in our waters - from the small mini-species up to larger specimens. I also participate in several kayak fishing competitions across the UK. I currently work at Cornwall Canoes - A Kayak Fishing Specialist Store - and get to play with some of the coolest fishing kayaks and kayak fishing gear available on the market! 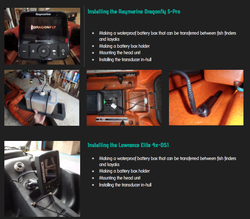 This website and blog documents my kayak fishing adventures and provides insights into the gear and equipment i use, along with other information on kayak fishing in general. Explore the website to find out more! Rods: Ugly Stik 12-20lb 8ft 2in Boat Braid, Fin-Nor Lethal Variado 7ft 6-12lb, Major Craft Skyroad 10-30gr, HTO Rockfish Revolution ML 7-28gr and many more! Reels: Avet SX 5.3, Avet MX 5.8, Fin-Nor Lethal LT40's, Quantum Cabo 40, Quantum Smoke Inshore PT50 and more! Terminal Tackle: Sakuma, Mustad, Tronix Pro, Tsunami and more. If you would like to use any of my images please contact me first, unless they already contain copyright attribution - if an image is used please ensure copyright statements are not cropped out and are fully and clearly legible to viewers.